(Mashable) – Audi has unveiled a new version of its R8 e-tron electric supercar concept at CES Asia Monday — it’s still an extremely powerful, high-tech electric vehicle, but now it can also drive itself. 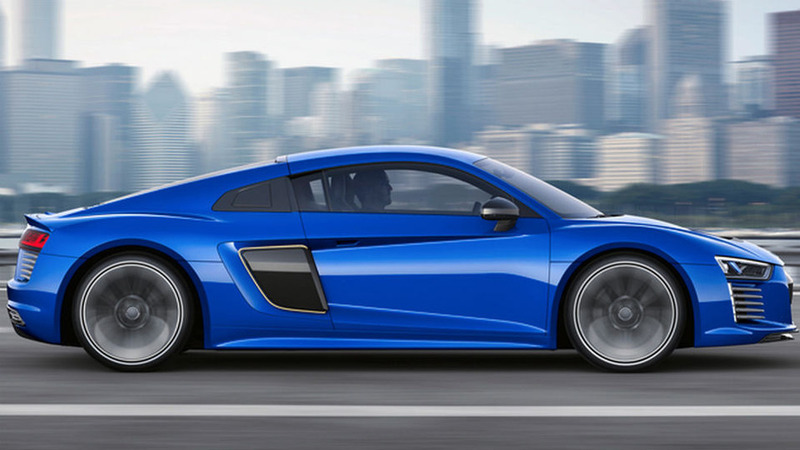 The Audi R8 e-tron piloted driving concept, as it’s called, has two electric motors, each with a 170kW power output delivering a total of 456 horsepower and jolting the car from 0 – 100 km/h (0 – 62.1 mph) in 3.9 seconds. The car’s top speed is capped at 210 km/h (120.5 mph) or 250 km/h (155.3 mph) depending on the tires. Its range is 450 kilometers (279.6 miles), and the charging time is less than two hours thanks to Audi’s Combined Charging System (CCS), which allows charging with both direct and alternating current.